Liam O’Connell is a Certified Financial Planner that utilizes a holistic approach to planning and investing. Liam treats each client’s situation as unique and strives to deliver a plan that is tailored to the needs and goals of each individual, family or business. 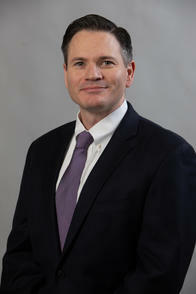 Liam began his career at Merrill Lynch & Co. in 2001. There he spent two years at the Financial Advisory Center, one year as a Client Associate, two years in the Path of Achievements Program and 10 years as a Senior Financial Advisor in the World Financial Center Headquarters. In 2016, he joined Morgan Stanley as a Vice President and Financial Advisor in the Rockefeller Center Branch Office. He is a graduate of Boston College, where he received his Bachelor of Science with a concentration in Finance and Marketing. Liam currently resides in Hoboken, NJ with his wife, Stefanie and his bulldog, Doyle.